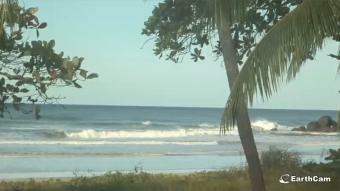 Playa Grande is is a vital part of the Marino Las Baulas National Park with its protected nesting sites of leatherback turtles and is the perfect surfing destination for international visitors. Playa Grande has great restaurants, bars, accommodation and shopping options and a wonderful beach with pure white sands and crystal clear waters. This world class paradise offers magical vacations, water sports and adventures with miles of fine beach and surfing opportunities.